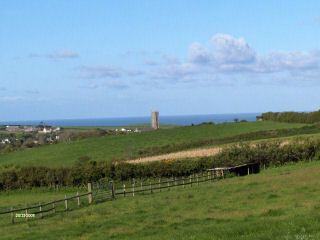 ....with access to some of the most stunning scenery on the South West Coastal Path. 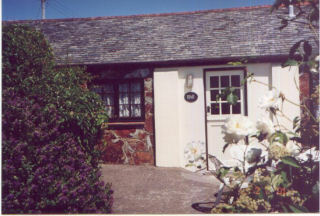 A warm welcome awaits you at Wells Cottage. It is one of a few cottages within private grounds of 14 acres on which the owners breed pedigree Dexter cattle, rare breed Wiltshire Horn sheep, Gloucester Old Spot pigs and a variety of poultry. The cottage has been converted from an old stone farm building dating back to at least the 18th century and contains a lot of character. Tucked quietly down a country lane, it is ideally situated whether you want to walk along the cliffs on the coast paths for dramatic and breathtaking scenery, taking it easy and getting away from the hustle and bustle of every day life or visiting the many local places of interest. However you decide to spend your holiday there is always the sauna and spa to spend a relaxing hour. A short walk will find the beaches and rock-pools of the local bay of Berry or Blackpool where children of all ages will love exploring. A little further afield the beaches and rock-pools of Sandymouth Bay, Welcombe Mouth, Bucks Cross and Widemouth Bay can be found. The village of Hartland, which is within walking distance through ancient woods, offers a variety of shops e.g. green grocers, fish and chips, off licence/general store, craft shops, pubs, vets, doctors and post office/newsagent. The picture to the right is of the beach at Clovelly, which is 5 miles away. Bed linen, duvets, tea towels, bath and hand towels are provided.